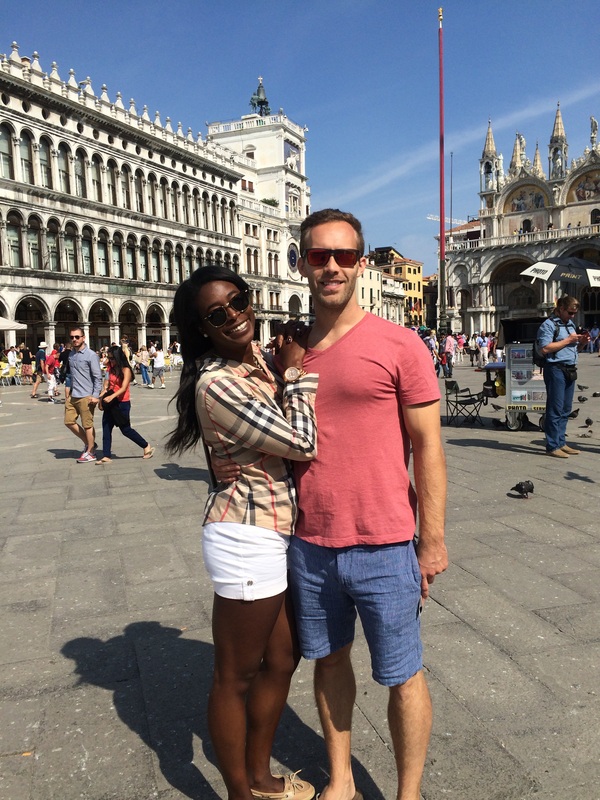 Yesterday, was our chance to explore Venice. This time we wanted to wander the streets. I don’t give my boyfriend enough credit. He is unlike any other when it comes to reading maps. He can get us out of anywhere. So I knew I was in good hands. We planned to meet my mom at the Westin Europa & Regina. We crisscrossed through some alleys, climbed over the Rialto, which was under construction and a slight disappointment. We popped out on the other side and worked our way to the tip of the grand canal. Let me back track a bit, I like to research where I’m staying and obviously find out things to do, but I don’t like to read books about it. It’s too much clout. I like to get and overall gist on where o should go and why it’s important. I like to use my eyes and determine my own opinions. I find reading books on travel can form opinions for you. 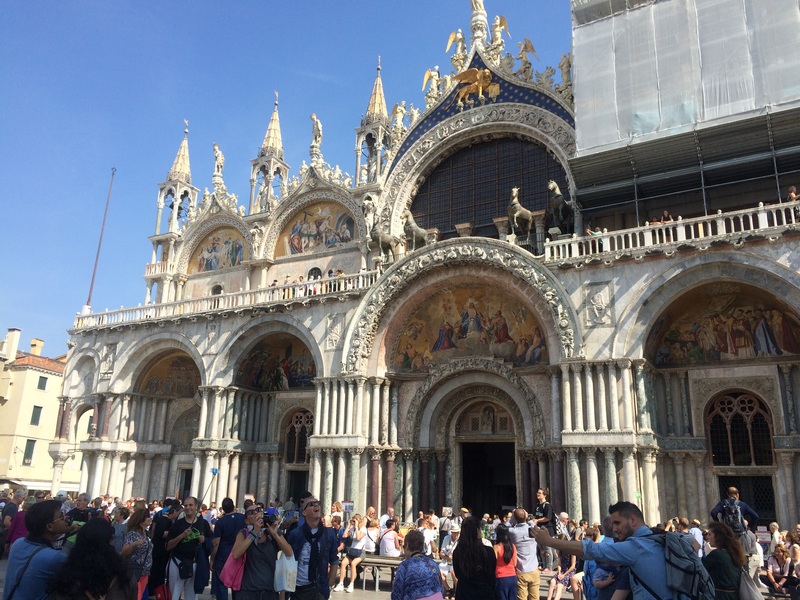 Yes, San Marco is a huge part of Venice, same with the Basillica. But I need to see it for myself, before I decide to spend euros to climb to the top. I have to find a reason of value myself. Not because Rick Steves said so. I digress, my mom’s hotel is stellar! Right on the canal and stunning. I was almost jealous, but our place definitely could hold its own. We had a mimosa and caught up on each other’s travel experiences. She went to Amsterdam while we were in Nice. We walked around and stopped at a few shops. 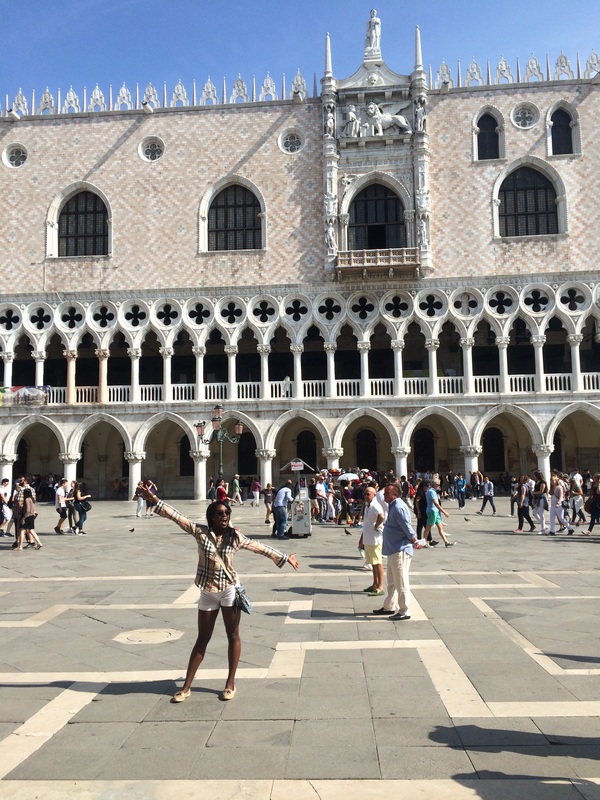 Went to San Marco’s square. Had some drinks and sandwiches outside of the Florian and listened to a band. We met a Great group of people from Los Angeles. The wife is a teacher and the husband os a retired voice over actor. They were traveling with her sister. A side note to everyone out there that hasn’t traveled before. Do not go to restaurants or stay at hotels that are near landmark areas. Our drinks were overpriced, and we had to pay per person just to listen to the music. Scam! We should have known better. 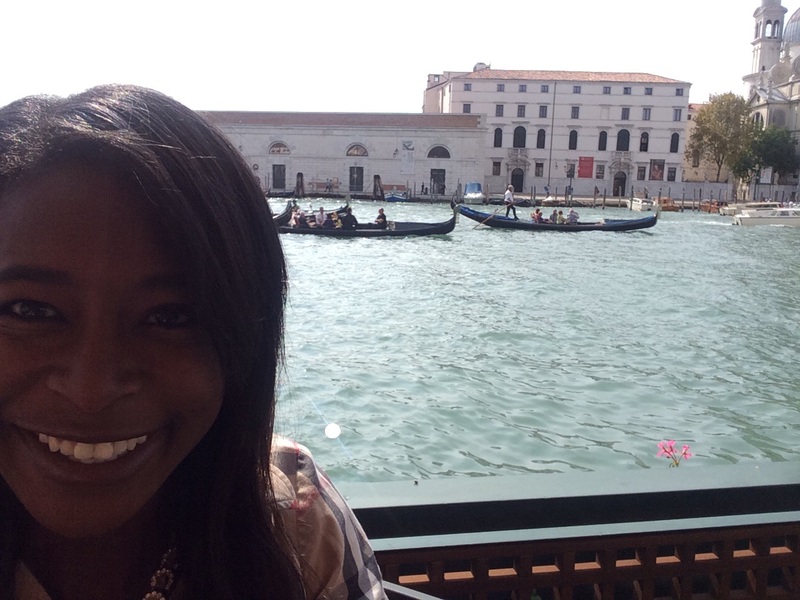 We walked around some more, crossed the Accademia bridge, ate some gelato, then dropped my mom back at her hotel so we could get ready for our gondola ride. 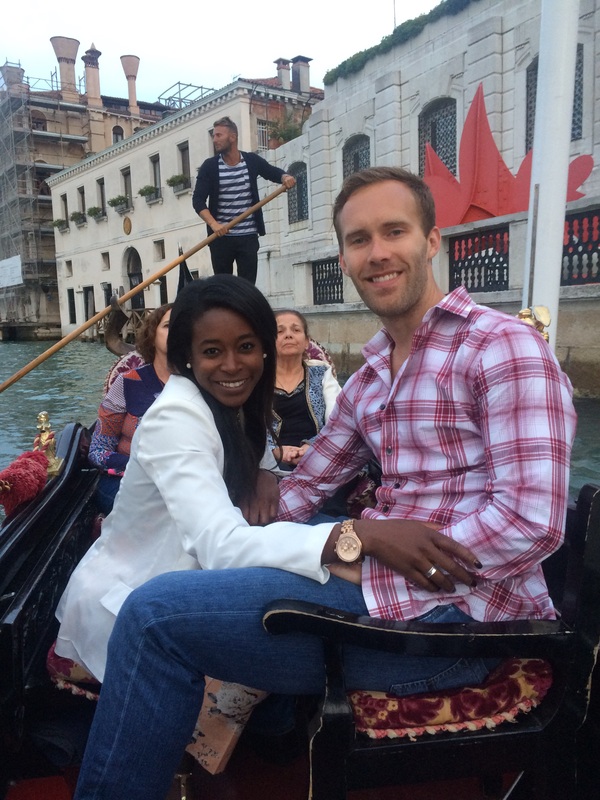 I purchased our tickets in advance due to many comments made that gondola rides are pricey and the independent riders can charge whatever they want. If you want the serenade, it’s even more. So I bought our tickets through Viator. It gave us a place to meet and a flat fee of $45. We walk up to the spot, and see a huge line of people waiting. A couple stormed off because they waited for over a half hour and were promised a ride for two people for their anniversary and they were packing the boats with six. We grumbled and mixed between trying to get our money back or just stick with it. We stuck with it, and we also waited about 30 minutes. The gondola men looked like they were straight out of jersey shore. I mean spiked hair, tattoos, crazy sunglasses, and piercings. They knew what they were doing and it pissed me off. on the phone the majority of the time. 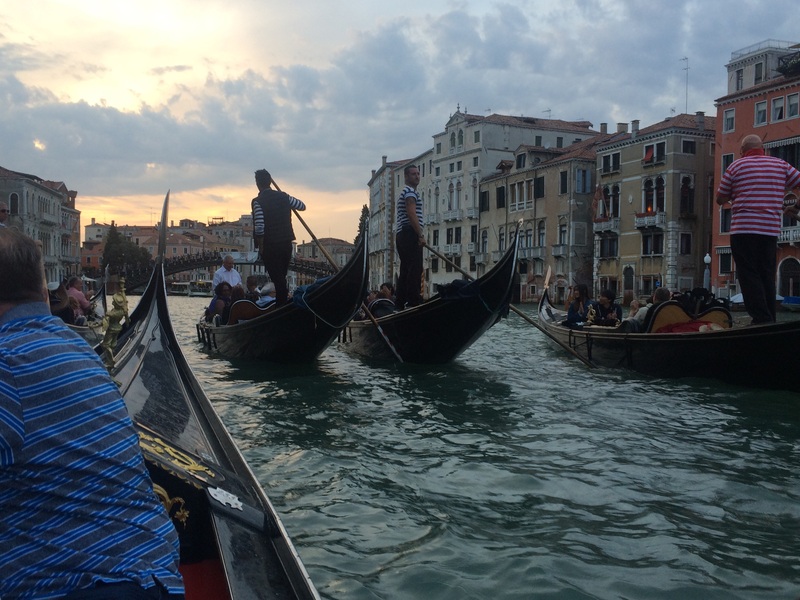 Altogether, I would pass on doing the gondola in future. It’s something everyone should do at least once in their life. But that’s about it. We pick my mom up from her restaurant and have a quick drink. We then mosey our way over to Di Raffaele, which was recommended by the hotel concierge. We cleansed our palates with a Bellini. Bellinis originated in Venice. We shared a antipasto dish of fried seafood, caprese salad, and my boyfriend and I shared some risotto with shrimp. Overall, it was a wonderful meal. 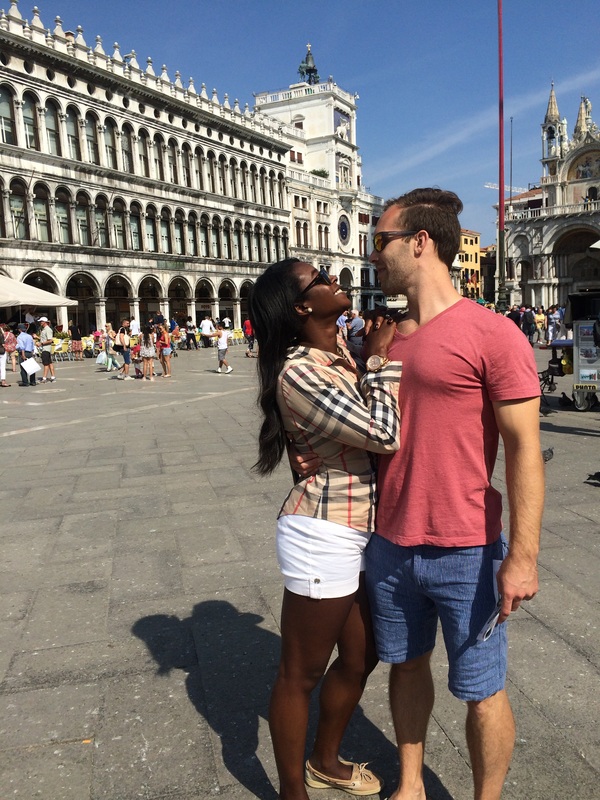 A great way to end our trip in Venice.